Summer is coming, and as it approaches, I am hearing a lot about skin care, botox, self tanning and plastic surgery. Perhaps it is because I am eight months pregnant, but these conversations often leave me tired! I think it’s because I know I could spend all my time and money fighting the force of aging and worldly imperfections and still come up short. And it’s no fun to dwell on our flaws, is it?! It can be a slippery slope. I write this with no condemnation at all…I admit I delight in getting my hair colored a shade of blond it has not naturally been since I was 18 and don’t feel fully dressed until I put I on my lip gloss. I enjoy good beauty tips from friends! But I think there’s another conversation we need to engage in as women. The battle is not against aging, cellulite, skin tone, wrinkles or roots…it’s against an enemy who whispers something to us from the time we’re little: “you are not beautiful” or “you are not as pretty as…” Or the more subtle whispers from magazines, billboards, commercials and the world around us: “you’d be more beautiful if...” What is that “if” for you? I know what it is for me. Our real battle is against these lies, and this is the battle we need to engage in and help each other fight. There is a fine line between stewarding the gift of our bodies well for God’s glory and questioning the masterpiece design of our Maker. I had the privilege of hearing my amazing sister-in-Christ, Toya, speak on beauty this month. As she confidently shared how she sees herself as beautiful in the eyes of God, she radiated a contagious glow, and I felt myself becoming more beautiful in my own chair as she spoke. She read from 1st Peter 3, “Let your adornment be what’s inside—the real you, the lasting beauty of a gracious and quiet spirit, in which God delights,” and Proverbs 31, “charm is deceptive, and beauty does not last; but a woman who fears the Lord will be greatly praised.” She talked about how Jesus had “no beauty or majesty to attract us to him, nothing in his appearance that we should desire him.” (Isaiah 53:2) Isn’t that crazy? He was the most magnetizing person of all times, but it was not what was on the outside that drew strangers to reach out and touch him. It was WHO and WHOSE he was. Toya asked those of us in the audience what makes us feel beautiful. I think a common answer was knowing that someone saw it in us. Every little girl and grown woman out there longs for someone to see beauty in her. And until she sees herself through the eyes of God and knows WHO and WHOSE she is, she will never fully comprehend just how beautiful she really is. I loved this wisdom from my devotion “No More Perfect Moms” and wanted to share: “When you look at yourself in the mirror, what filter do you see yourself through? Do you compare what you see in the mirror to what you see in magazine articles and television shows? Or do you see yourself through God’s eyes? His eyes care more about the condition of your heart than the condition of your skin. We can make peace with our bodies if we will learn to see it through God’s eyes. Let’s explore what God says about our bodies and our hearts. First Corinthians 6:19–20 asks, “Do you not know that your body is a temple of the Holy Spirit within you, whom you have from God? You are not your own, for you were bought with a price. So glorify God in your body” (ESV). A little earlier in 1 Corinthians we read, “Do you not know that you are God’s temple and that God’s Spirit dwells in you? . . . For God’s temple is holy, and you are that temple (1 Corinthians 3:16–17 ESV). From the book of Romans comes this instruction: “I appeal to you . . . present your bodies as a living sacrifice, holy and acceptable to God” (Romans 12:1 ESV). First Corinthians also reminds us, “So, whether you eat or drink, or whatever you do, do all to the glory of God” (1 Corinthians 10:31 ESV). All of these verses tell us that our bodies belong to God. He asks us to take care of our bodies and treat them like the Holy Spirit’s precious home. So taking care of our physical bodies is a stewardship issue. We are taking care of something that doesn’t actually belong to us, but instead belongs to God. When you consider these verses, do you get the feeling that your body is actually a gift from God? I do. In fact, it’s a gift God made Himself! In Psalm 139 we discover, “For you created my inmost being; you knit me together in my mother’s womb. I praise you because I am fearfully and wonderfully made; your works are wonderful, I know that full well (Psalm 139:13–14). . . .
Isn’t that awesome? Along those lines, with beauty on my mind, something new and exciting struck me in reading the story of David and Goliath this week. Before David went to fight the giant, Saul put his own armor on the boy. The armor of a King, what a privilege. But David said about the coat and helmet, “I cannot go in in these…because I am not used to them.” (1 Sam 17:39) So he took them off. David was not engaged in the battle the world fights. He saw a different battle that called for a different armor. The rest of the Israelites saw the giant and as defying Israel and they were terrified. David saw the giant as defying God and he had courage in God to defeat him. God always wins His battles. So I ask you – what battle are you actually fighting when it comes to beauty? What weapons are you using? The weapons of the world or the armor of God? Are you fighting for victory or from it? Saul tried to keep David’s eyes on his shortcomings by telling him he was too inexperienced to fight. But David confidently reminded his king that he had killed both a lion and a bear and that “this uncircumcised Philistine will be like one of them because he has defiled the armies of the living God.” (1 Sam 17:36) I think God often trains us for battles alone in the wilderness like He did David. That’s where our confidence comes from – that time in the wilderness between us, God and the enemy. 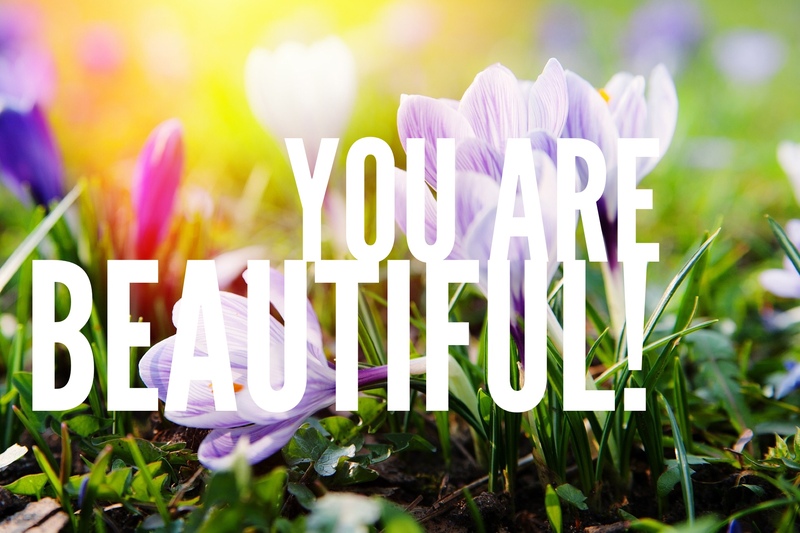 In the battle of beauty, the enemy is a beast we think we can never overcome…one who whispers of our ugliness, our past sins, our shortcomings, and how we compare to others. But, once we’ve surrendered to God’s perfect love, fought that monster of ugly with His truth, received the victory Jesus won on our behalf, and see that beast defeated in light of the finished work of the cross, we are armed to fight any battle. “The weapons we fight with are not the weapons of the world….they have divine power to demolish strongholds.” (2 Cor 10:4) Paul tells us we have been given the weapons of truth, righteousness, peace, faith, salvation and the sword of God’s word. If the armor of the world doesn’t fit you, don’t let it weigh you down. You don’t have to put on anything that doesn’t fit you just because the rulers of this world tell you to. We are in a fight. Not against the giant of aging and imperfection, but against an enemy who defies the living God by telling us we are not beautiful, special, beloved, approved, fearfully and wonderfully made, and carefully knit together by divine design. This enemy knows how precious we are to our Maker, he shudders when he sees us coming and he knows that the One who lives in us is greater than him. He knows that our bodies are very special because they are temples of the Holy Spirit. And he also knows that when we start seeing this, he’s in big trouble! This was BEAUTIFUL! Wow, I am truly amazed by God’s impeccable timing. I needed to read your words & be reminded of God’s word right this very moment. You are altogether lovely my sister & so was this post! Reblogged this on Psalm8110's Blog.